Get a glimpse into China’s past—and visit one of its most beautiful and atmospheric water towns—on this full-day, private tour from Shanghai. 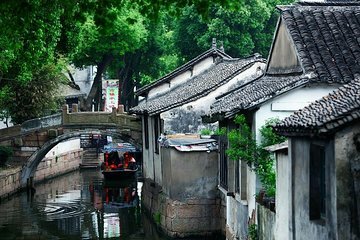 Your destination is the Tongli Water Village: famed for its canals, its centuries-old houses, and its unspoiled scenery, it’s an ideal day trip destination. Meet your guide at your Shanghai hotel and travel in an air-conditioned vehicle; upon arrival, you’ll tour the UNESCO-listed Tuisi Garden, will enjoy a traditional lunch, can take a gondola tour (additional expense), shop, and more.